Prescott Real Estate News: What a great Garden.. and Views. 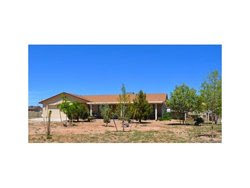 Click Here to see View Home in Paulden AZ with Price and details. Wonderful Stazenski home with log accents, oak trim and window sills. Nice and inviting open living area with log accent pole and vaulted ceiling. Cute kitchen with pantry area and bar. Watch the gorgeous sunsets on the covered front porch. Large shed with a dog run. Raised Garden and Herb Garden. Perimeter fenced. Don't miss this one!